The benefits include: cost reduction; increased productivity; improved safety; higher morale; and the ability to meet the changing expectations of your customers.Step-by-step, the authors guide you through the creation and implementation of a process master. 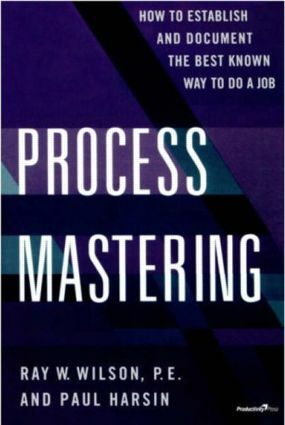 You will learn:Identify and gain control of your organization's key processes.Get the right people involved.Establish boundaries and measures.Use the process master to support ISO and HACCP complianceProcess Mastering contains two fully completed sample Process Masters as well as numerous improvement examples. An appendix provides blank Process Master forms and shows you how to use a Deployment Flow Chart.